How to prepare, pack and ship musical instruments? Do not take a risk and let us pack and move your musical instruments to OZ - We know how to do it right ! If you play a musical instrument you must enjoy it a lot. We understand that and that's why we will make sure you still enjoy playing it once you have moved. 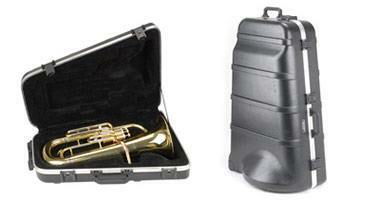 Our professional instrument packers will prepare your instrument for a safe shipping. We can send any type of musical instrument from the UK to any destination overseas. Musical instruments are complex and delicate instruments. If you are moving them, you should not treat them like other household items, rather you should handle them with utmost carefulness otherwise you may end up damaging them. Various types of materials including wood are used in making these instruments. When you are moving them, you should look for experienced international movers that knows how to handle these various materials used in fabricating these musical instruments. Some musical instruments like large size pianos or organs may require to be dismantled or dissembled before they can be packed. Only a shipping company experienced in relocating musical instruments can do that. Here are some of the shipping tips that you should apply when moving a piano, a guitar, drums, a flute, a ukulele, a saxophone, a clarinet, a a trombone, a a French horn a violin and many more. Make sure that you do the packing of the instruments properly before they are moved. The right wrapping and packing material for musical instrument should be used. If you are sending a string instrument to Australia, you should ensure that the strings are one-step loosened in order to safeguard them against pressure and temperature changes. Delicate parts should be handled carefully when they are being wrapped. 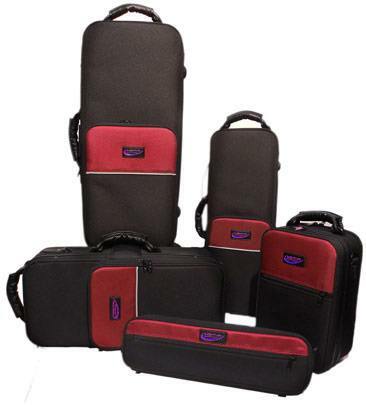 Use a hard case to pack all large instruments such as brass, basses, keyboards, cellos and others. Putting them in a hard case meant for packing instrument is the only way of protecting them. If after packing the instruments in the box, you have some spaces left, you have to fill up empty spaces with paper so that the instruments in the box will not be making any movement. Make sure that you label the instruments properly after wrapping and packing them. If it is possible indicate on the label that they should be handled with utmost carefulness. It is important that you secure your instruments against risk with the appropriate shipping insurance policy. Some movers offer full cost coverage for various types of items. But if your mover does not offer moving insurance, you should look for a third party to provide you with such insurance cover. After labelling the case containing the musical instruments, place it in the special boxes for moving instruments abroad. In most cases you can get them from your service provider. However, you have to place it at the centre; but ensure that it does not touch any of the sides. Use shipping peanuts to fill the sides and any empty spaces remaining. In order to ensure that no space is left, you should shake the box, if the case containing the musical instruments is moving, then there are some spaces remaining. You have to put more shipping peanuts to cover up the remaining spaces. The above tips will be useful to you if you are doing the packing by yourself. But you can take advantage of our professional packing and moving musical instrument services. Our removal services include the packing and shipping to Australia of any type of musical instruments. Whether you are a musician, individual or association that has musical instruments to be moved, we can help you get the instruments ready for moving. You may want to know what makes our piano removals unique. As it has been said above, musical instruments are very fragile and should be handled with utmost diligence. We understand that and that is why we have taken time to build a special team for packing musical instruments. This makes us unique and distinct from other transport companies that do not make a distinction between musical instruments and other types of items and move them the same way they are shipping goods. Thus, they make use of the same packing and moving teams regardless of the inefficiency in handling such sensitive items like percussion, wind, stringed, electronic or keyboard instruments. The aftermath is always costly. These unprofessional musical instrument packers and movers will end up damaging what they are supposed to protect. We know that musical instruments are very expensive and that is why we established a separate team for it, special procedures and we administer best musical instruments packing method and options. If you hand over your expensive musical instruments to us, be rest assured that they will be delivered to the final destination in good condition and you will still enjoy paying them. We are quite aware some musical instruments are very sensitive to humidity and changes in temperature. Thus we have acquired special shipping container for moving musical instruments overseas. So, do not hesitate to contact us if you have any musical instrument to be moved. Take advantage of our affordable piano, drum kit, accordion, guitar and contrabass moving services.